There are raw patches and patches with added vibrato. Kontakt scripts also added for basic ADSR control. 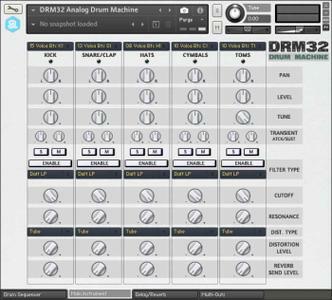 29 different patches are available in total, with different presets form the original organs. 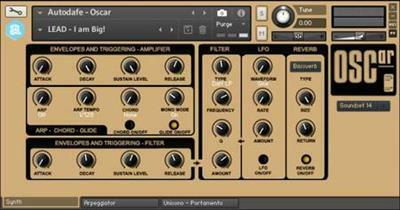 Autodafe OSCar is a recreation of the famous OSC (Oxford Synthesizer Company) OSCar for Kontakt (FULL version of Kontakt 5.6 needed, it will not work on the free Kontakt player), based on samples from an actual OSCar.